Planning a trip to UK in your spring break? These places should definitely be on your list! The capital city of Scotland is also one of the most popular tourist destinations. The iconic buildings take one back to a different era, enhancing the city’s rich history. Amongst these is the Edinburgh Castle, a majestic structure dating back to the 13th century. In addition to the great halls and royal apartments, the palace also houses the Scottish National War Memorial, the famous Stone of Destiny, and of course, the Scottish Crown Jewels. Cruise down Edinburgh’s Old Town and admire the city’s architecture, galleries, and boutiques. You won’t be disappointed! Want to enjoy England’s breathtaking scenery? Lake District is a must-visit place on your trip to the UK! With its vast woodlands and lush green valleys, this is the perfect place for nature lover to explore. There’re quite a few things you can do at Lake District. If you’re looking for an outdoor adventure, then it’s a great spot for long, strenuous hikes. The lake itself is a sight to behold, and has attracted many painters and artists. Located in the county of Cumbria north of England, the area is one of the most serene spots in UK. Climb the rolling hills, sit by the lake, or simply visit the surrounding villages and have a hearty meal at the local inns. What’s a trip to the United Kingdom without visiting London? One of the largest cities of the world, London is famous for a number of things and you absolutely can’t miss out on them! For the history aficionado, the Tower of London is the place to be at. This 1,000 year old structure includes the magnificent White Tower, the infamous Bloody Tower, and the Jewel House. The displayed weaponry and the Crown Jewels are definitely worth checking out. In the Whitehall Road area you’ll find some of the most famous attractions in London. 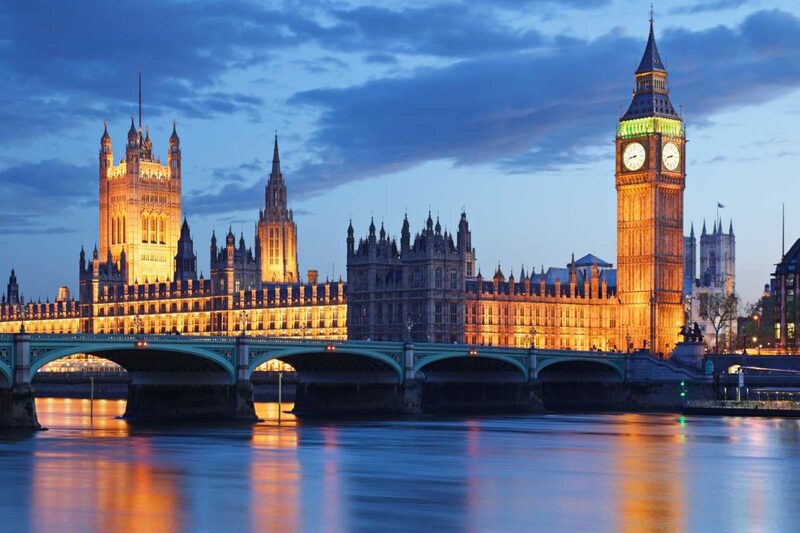 Westminster Abbey, Big Ben, and the Parliament Buildings are all located in this region. Trafalgar Square is another tourist area in the city. And let’s not forget about Buckingham Palace. Home to the British Royal Family, the palace offers a number of tours and ceremonies for the public to enjoy. Who knows, maybe you’ll even catch a glimpse of Prince Harry and Meghan Markle making an entrance! Make your flying experience more comfortable with Atlas Ticket! Our exclusive travel deals will ensure that you travel in ease, and get the most out of your vacation. Get in touch with our travel agency to inquire more about our air ticket booking and flights to UK!